Trading Zone with Stochastic Trading System is based on Wave arrows trading indicator. This is a zig zag indicator. Repaint, but there are Stochastic and Trading Zone indicator that not repaint. When appears arrws support of Wave Arrows indicator wait green bars of trading Zone indicator and that the stochastic cross upward. When appears arrws resistence of Wave Arrows indicator wait red bars of trading Zone indicator and that the stochastic cross upward. Profit target 20-28 pips depends by Currency pairs or take profit at the pivot points levels. 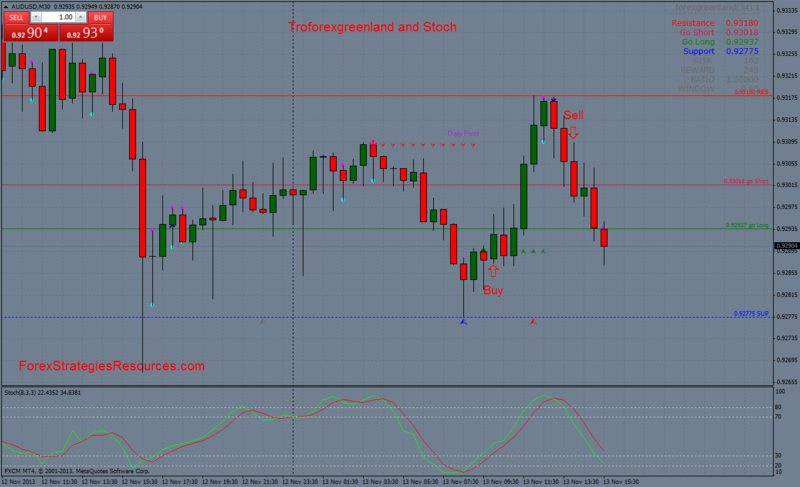 Vantages of this forex strategy are the good profitability. Disadvantage is that wave arrows indicator repaint but la position it's easy to manage. 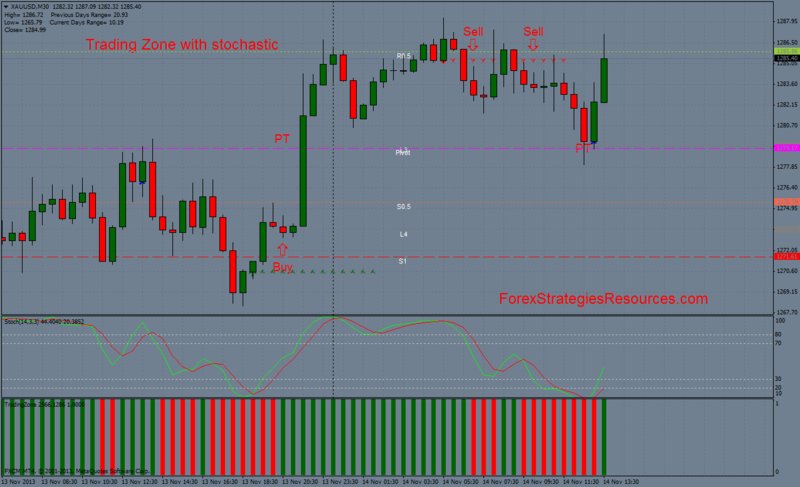 Trading Zone with Stochastic Trading System (Template and Indicators metatrader 4).